The ‘BELLE 0-3 Study’ is an NIH-funded randomized controlled trial of two parent intervention programs: the Video Interaction Project and Building Blocks (BB). Mothers were enrolled shortly after the birth of their newborns and randomized into one of three groups: VIP 0-3, Building Blocks, or care as usual (control). The 'BELLE 3-5 Study' is a randomized controlled trial that builds on the BELLE 0-3 Study and studies a preschool version of VIP: VIP 3-5. When infants from the VIP and control groups of the original BELLE 0-3 study reached three years of age, they were re-randomized to receive VIP from 3 - 5 years of age (VIP 3-5), or to receive care as usual from 3 -5 years of age (Control). This resulted in four study groups: 1) mother/child dyads who participated in continuous VIP from birth to age 5; 2) mother/child dyads who participated in VIP from birth to age 3 only; 3) mother/child dyads who participated in VIP from ages 3 to 5 only; and 4) mother/child dyads who never participated in VIP (control). As in BELLE 0-3 study, mother/child dyads have participated in follow-up assessments, starting at 36 months of age and continuing every 1-2 years through elementary school (which is currently ongoing). All assessments are done by researchers who are blind to study group. Smart Beginnings is an NIH-funded, multi-site randomized controlled trial that is studying a comprehensive approach to the promotion of school readiness in low-income families through enhancement of positive parenting. Specifically, Smart Beginnings is examining the use of VIP as a universal primary prevention program in combination with a targeted home-visitation program for higher-risk families (Family Check-Up). Enrollment for Smart Beginnings began in 2015 for parents of newborns born at Bellevue Hospital Center, with a second cohort of participants enrolled at the University of Pittsburgh. Assessments of parenting and child development take place at regular intervals during the infant and toddler period, with all assessments being done by researchers who are blind to study group. This study is being done in collaboration with Dr. Pamela Morris at New York University as well as Dr. Daniel Shaw at the University of Pittsburgh. In addition to studying the efficacy of positive parenting interventions, we are interested in understanding how to best deliver these interventions at scale in a way that maximizes impact, is cost-effective, and reaches families at need. In 2013, we began offering the Video Interaction Project (VIP) as part of routine pediatric care at Woodhull Medical Center in Brooklyn, NY. Woodhull Medical Center services primarily low-income families, and VIP is now available in English and Spanish at no cost to all children between birth and 3 years who are receiving well-child care at Woodhull. This expansion to Woodhull represented the first time that VIP was offered on a clinic-wide scale, and we have been studying factors that affect VIP’s successful implementation and families’ participation and engagement in the program. 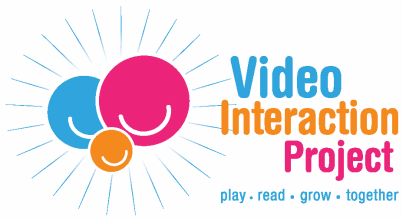 Since 2014, VIP has become a participant in City’s First Readers (CFR), a city-wide initiative that seeks to close poverty-related gaps in school readiness through building linkages between literacy-promotion programs across multiple platforms, in order to surround children and families with opportunities to build strong foundations in early literacy. This unique initiative, which has been developed and funded through the New York City Council and directed by Literacy Inc., connects VIP with other literacy-promotion programs in pediatric primary care (Reach Out and Read), community settings (including the three NYC public library systems: New York Public Library, Brooklyn Public Library, and Queens Public Library), home visiting (Parent-Child Home Program), and early childhood education (JumpStart).